Thanks to a couple of foodie entrepreneurs and a Michelin-star chef, London is now home to Zero Carbon Food, the first bomb shelter turned underground farm. The cavernous bunkers near Clapham North Underground station once housed up to 8,000 Londoners during the World War II, now hosts a hydroponic garden full of peashoots, arugula, radish, and more. The soft purplish-pink LED light and the extremely minimal travel distance to local restaurants and markets makes the initiative’s carbon foot print nearly nonexistent. 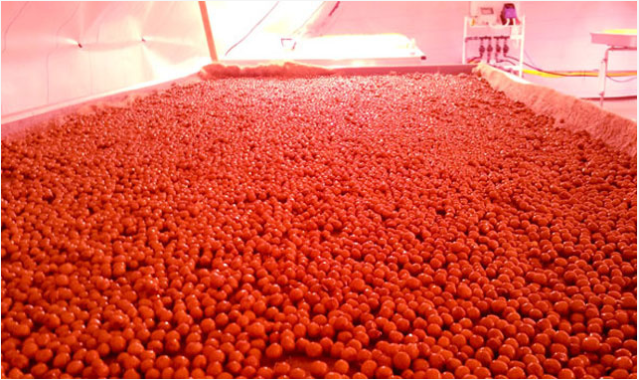 Other environmentally impactful benefits include price stability, year-round availability and no agricultural run-off. Documentary director Jeremy Seifert’s GMO OMG takes a deep look into the quality of food in the United States. Genetically Modified Organisms (GMO) account for the majority of food that Americans eat daily with the long term effects on the individuals and the environment ultimately undefined. Seifert approaches the subject as a father concerned for the future of his three young children–attempting to inform viewers of the current state and ignite action for sustainability. Thanks to JR Harris for today’s fodder. ‘The Sound of Taste’ is an audio visual installation created for Schwartz Flavor Shots. The beautiful and visually-stimulating slow-motion video shows several tons of black peppercorns, cardamom, turmeric, paprika, cumin seeds, ginger, chili and coriander exploding. With bags and bags of spices shooting up into the air in accordance to the sound of music the video attempts to answer the question what does flavor look like? What does it sound like? During Trick or Treat, it seems that there was always one house in the neighborhood that handed out healthy alternatives to the standard Halloween fare. I don’t think that the residents inside realized the amount of disappointed young faces they were sending back down their driveway when they dropped an apple or raisins into the open bags. 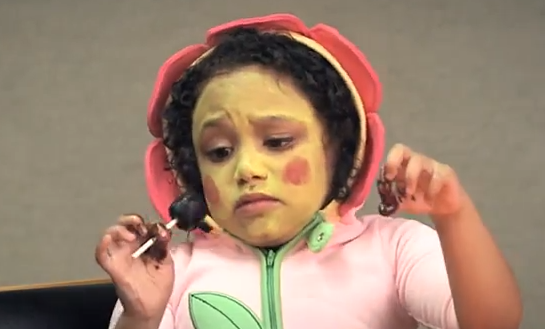 A new commercial for Crest toothpaste and Oral-B toothbrushes shows what happens when precocious children expecting to devour delicious sweets while dressed up in cute costumes are presented with “healthy Halloween treats” instead. 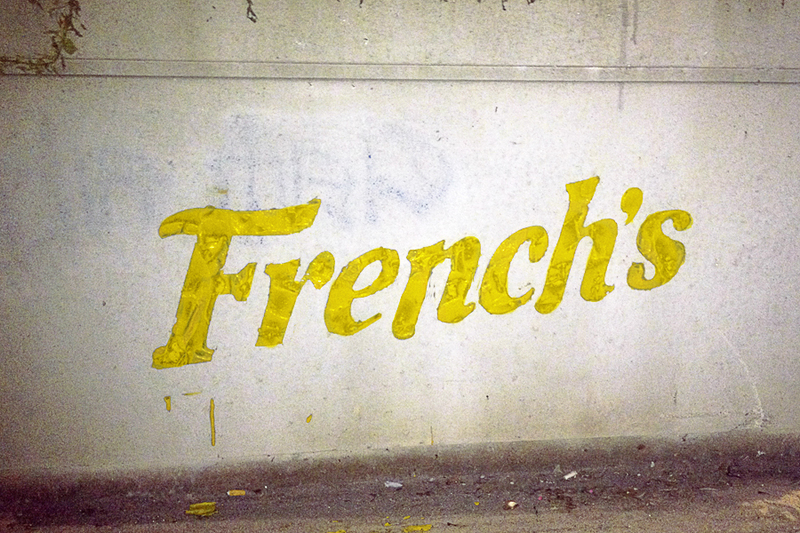 23 year old photographer Dorota Pankowska has created a new genre of street art– food graffiti. What started as a public display of affection for Nutella turned into ‘Pro Bono Promo’, a 10 piece street installation series. Armed with substances like Cheez Whiz and Miracle Whip, Pankowska used them to stencil the iconic brand logos of these very condiments. State Fair season is starting up and Carl’s Jr. is setting the bar for a summer filled with snack food mash-ups with their new Strawberry Pop-Tart Ice Cream Sandwich. The mere mention of these wondrous ingredients combined should be enough to stir up an internet frenzy, but to really drive the point home, Carl’s Jr. put together spot for the dessert treat set to the theme from 2001: A Space Odyssey. Photographer Peter Menzel wanted to answer the question, “What does a week of groceries look to the average family?” Armed with his camera, Menzel visited one ‘typical family’ in 20 different countries. It is interesting to see, with a few exceptions, that the quantity of food does not seem to vary too much, but the variety of food is vastly different in each country. It is a great way to see the different culture’s influence on the products and food the consumers buy. 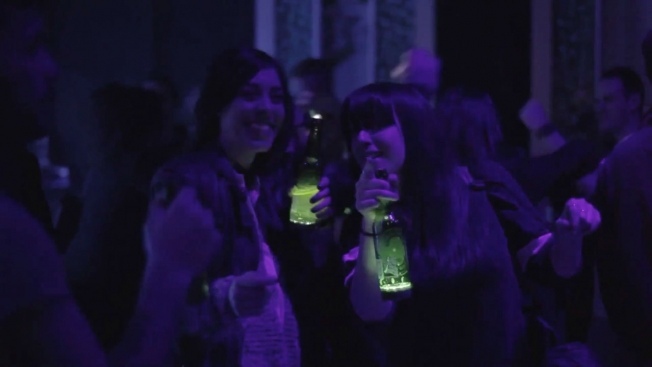 Heineken is trying to tap into club culture with an interactive bottle design that uses micro sensors and wireless technology to interact with drinkers. The LED lights react when people toast each other and sip from the bottle, and they can be synchronized to music as well. Thanks to Melissa Hodgdon for today’s fodder. For almost every day last month Malaysian artist/architect Hong Yi (who often goes by the nickname Red) created a fun illustration made with common, and occasionally not so common, food. Her parameters were simple: the image had to be comprised entirely of food and the only backdrop could be a white plate.